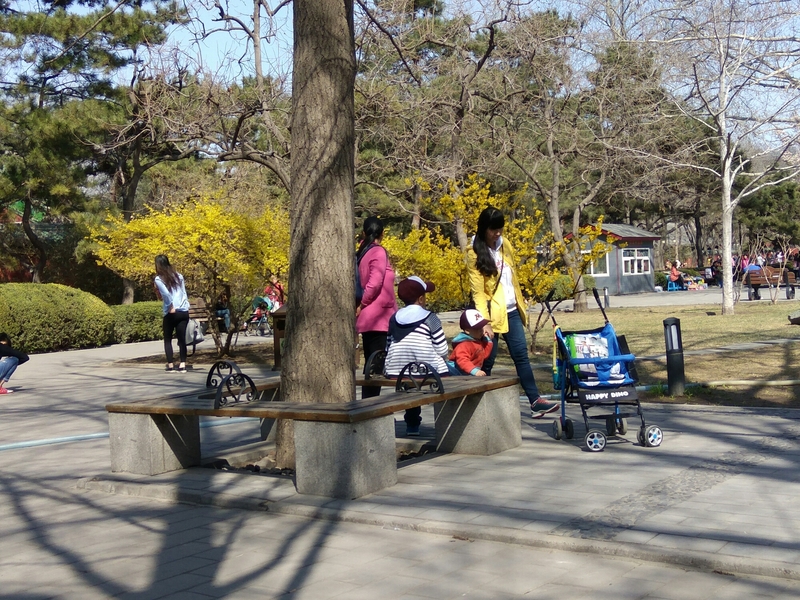 I spent part of an afternoon at Ritan Park to take advantage of the warming weather. I could have been in Central Park in New York. 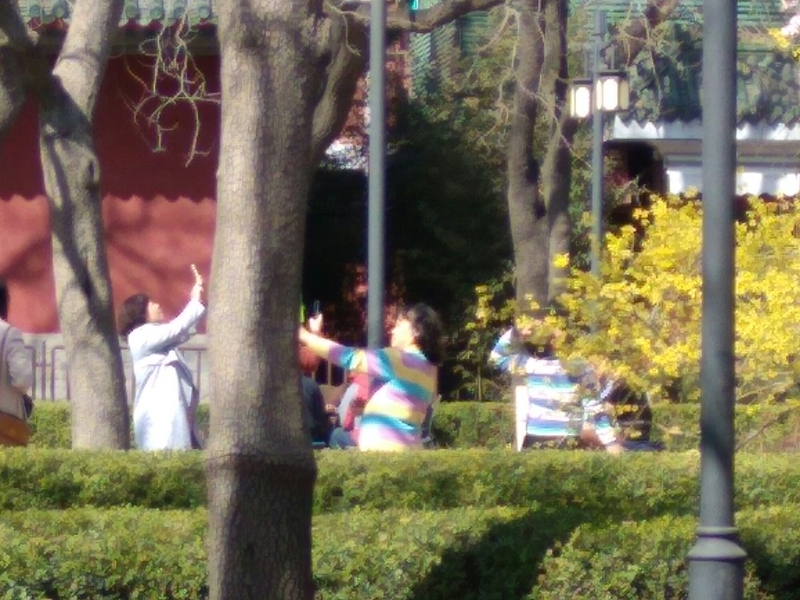 Lots of people out sunning themselves, strolling with children and napping on benches. So I’m quite remiss in updating my blog. There are several reasons, not least of which is the slow internet connection speed we seem to have here at BDFZ. The slow connection speed, troubles getting wi-fi on my smartphone, other internet connection interruptions and VPN problems could be a whole post unto itself. Stay tuned. 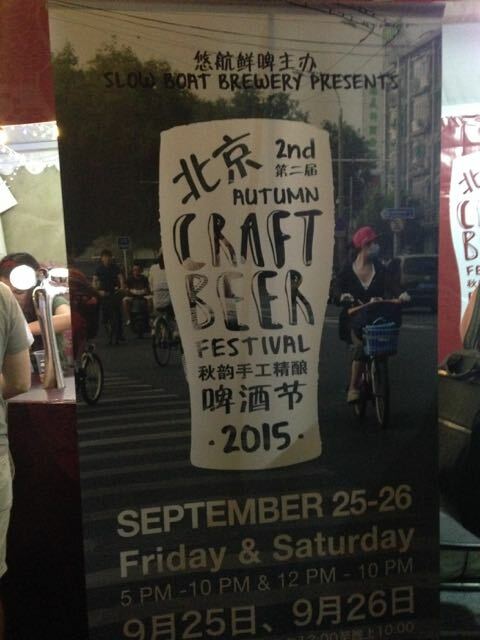 It was a few weeks ago now, but a colleague, Michelle (who also has a fabulous blog Underlines), and I went to check out the 2nd Annual Beijing Autumn Craft Beer Festival at the East Hotel in Chaoyang District. Craft brewing makes up a nano-percentage of beer sales in China and is most popular among the expat crowd, though it is slowly gaining a local following. Most beer sold in China is still produced by big corporate breweries, Yanjing and Tsingtao first among them. I had known about a couple of the craft breweries in Beijing and Shanghai from visits to their taprooms a couple summers ago. But it was a surprise to me that there are now nano-breweries in places such as Wuhan, Xiamen and Dali, Yunnan. 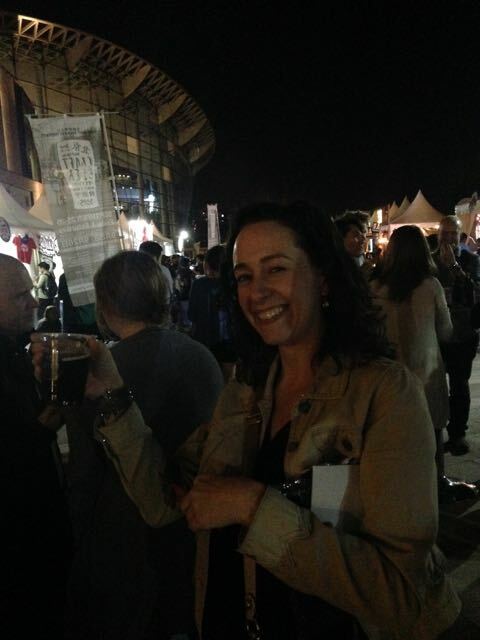 Among the Beijing breweries represented at the festival were Great Leap Brewing with its three brewpubs across town, Jing-A with a taproom in Sanlitun 三里屯, Slowboat Brewery Taproom in Dongsi batiao 东四八条, Beijing Brewing, and Arrow Factory Brewing near Wudaoying hutong 五道营胡同. Boxing Cat Brewery from Shanghai also made a showing, as did 18酒馆 from Wuhan (微信 Eighteen0813). I could only manage 1.5 beers before I was full and there weren’t any flights or samplers to speak of so I can’t do much of a comparative review. I can’t now even remember which brewery stands I purchased my 1.5 beers from. I do, however, remember the chicken shawarma that I ordered from a food stand which was actually chicken liver. That I will not forget. Me, on my second glass. On separate occasions, however, I have been to Great Leap and Jing-A taprooms. I think I preferred the Koji beer that I had at Jing-A of all the ones I’ve tried here so far. But Great Leap has an excellent house-made ginger beer. Probably the best ginger beer I’ve ever come across. Needless to say, it’s also good as a mixer. I recently bought a guidebook on Beijing to give me some ideas of places to explore in town on the weekends. 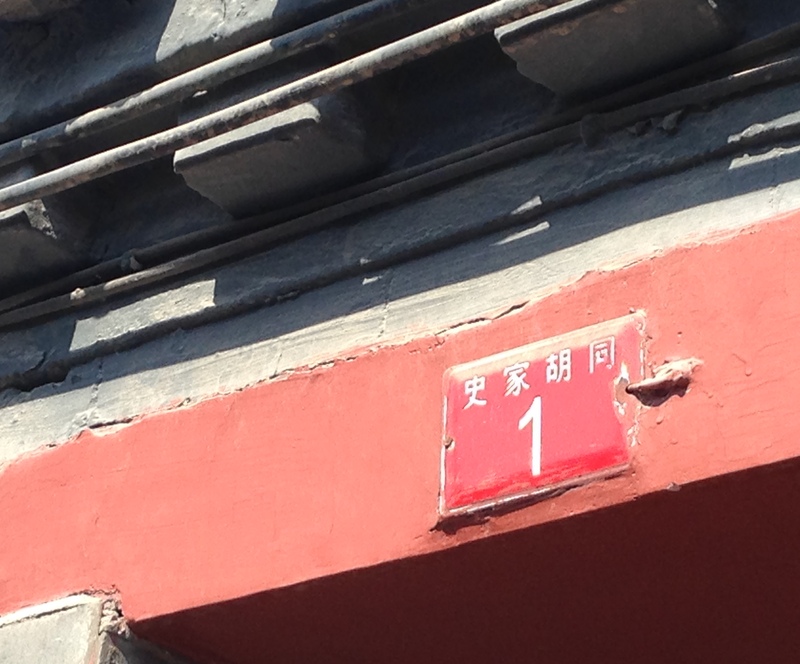 For my first jaunt, I decided to take a stroll around the Shijia Hutong (史家胡同）in central Beijing. This narrow street is near what was once the site of the lantern market (灯市), an important lantern shopping and viewing area during the yearly Lantern Festival. Shijia Hutong retains much of the feel of an old-style Beijing neighborhood with its modular architecture, gated entrances and narrow streets. Mostly residential, this hutong nevertheless does boast a few new establishments, including Slow Lane, a small store selling fair trade and sustainably produced handicrafts, and Red Wall Garden, a boutique hotel. 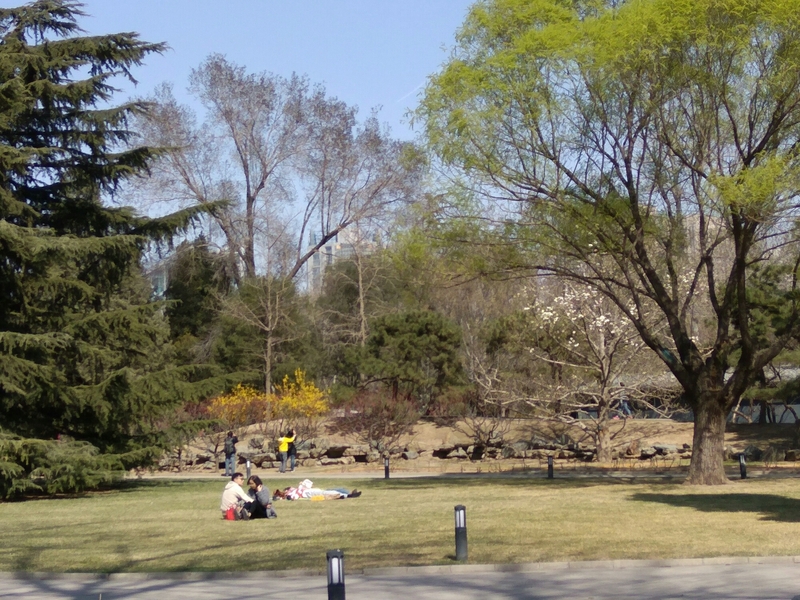 It has joined the ranks, however, of the few inner-city neighborhoods in Beijing that have not yet been replaced by more modern apartment high-rises. 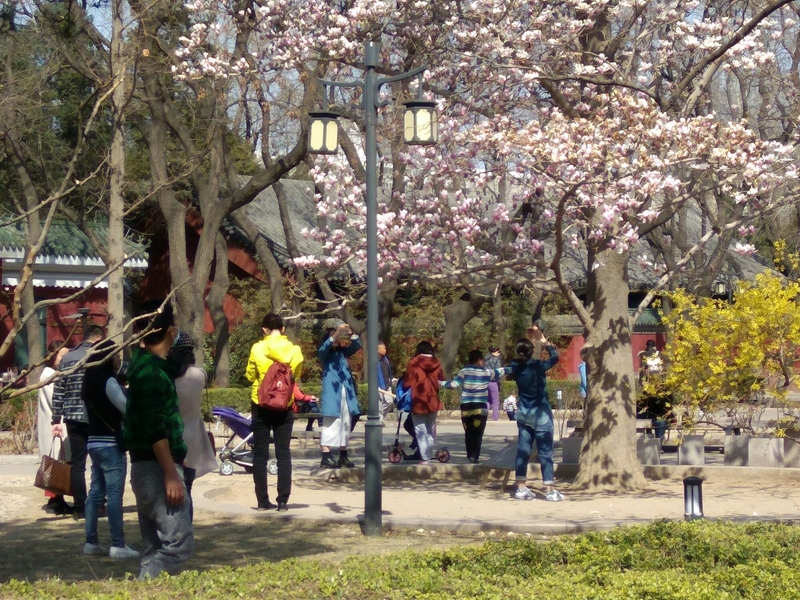 The presence of a small museum in Shijia Hutong celebrating traditional Beijing residential design was a reminder that life lived in the hutong is more and more the exception rather than the rule in Beijing. The museum is housed in a siheyuan and has a number of small exhibits about the neighborhood’s history and about its more famous residents. 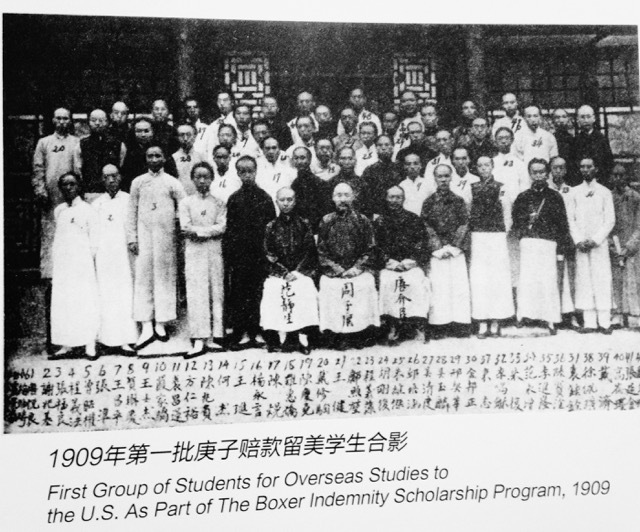 One exhibit detailed the history of Shijia Hutong as the site of an overseas study testing center funded through the Boxer Indemnity Scholarship Program in the early 1900s. Typical living room furnishings, 1970s and 80s. Typical living room furnishing, 1950s and 60s. The weather was perfect for a walk on Sunday, with clear blue skies and relatively warm temperatures for a late September day. I fear it won’t be that way for much longer so I’m glad I took advantage of it when I did. After a hectic first few weeks, I’m finally getting around to writing. I arrived on September 3rd and started teaching September 7th. Although it’s taken a few weeks, I feel like I’m settling in and can now get back to writing a bit and posting some pictures. 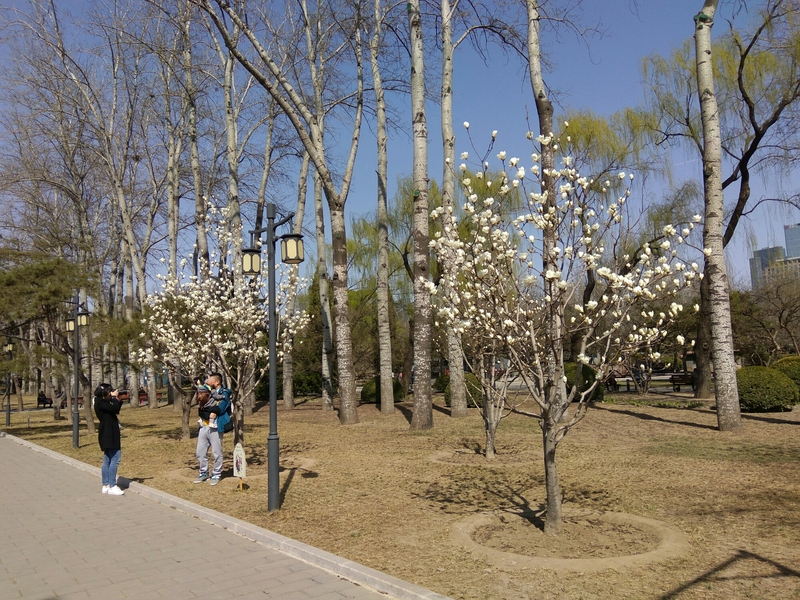 I’m teaching in the bilingual Dalton Academy, the international division of the larger Affiliated High School of Peking University (a.k.a. Beida fuzhong 北大附中). Dalton Academy is on the main high school campus, but has its own building. My teaching responsibilities include two courses, but I’m responsible for several sections of each. I’m one of three instructors teaching a core Humanities course for Senior 2 students (U.S. high school juniors). Right now it’s mostly an English class, but focused on preparing students for the seminar-style discussion classes they will likely have in college. Looking west from central campus. All Senior 2 and 3 Dalton students are required to do an Independent Research Project (IRP) that extends over two semesters, so I’m supervising several sections of Senior 2 students who are doing the project for the first time. While the Humanities course is fun, I’m particularly excited to be able to introduce students to the research process. The students overall are well prepared and quite eager which makes teaching that much more enjoyable. I’m also living on campus in school housing. It’s a dormitory, but I have a single room with private bath and it’s provided free of charge which is no small thing. The dormitory building is directly across from Dalton, so I have a 30-second walk from my dorm to the classrooms and my office. Talk about the perfect commute! 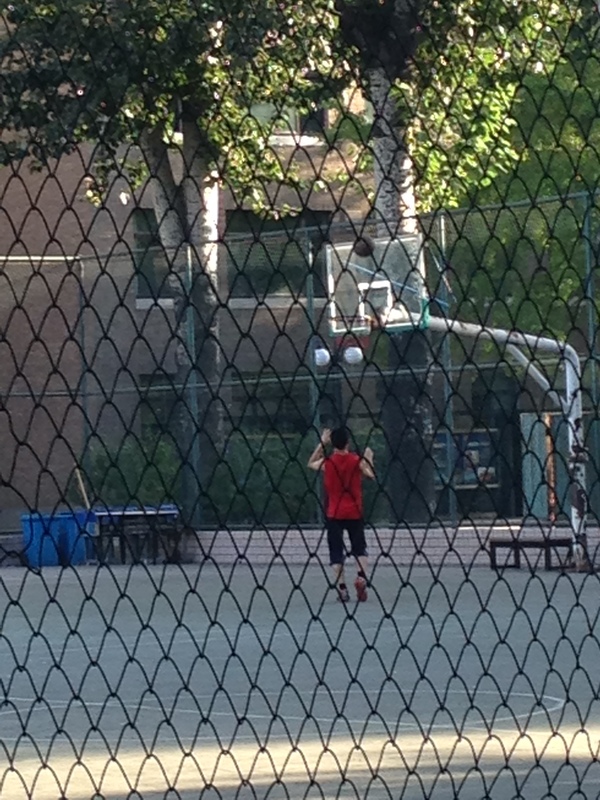 Student playing basketball in the center of campus. The basketball court is usually not this empty. 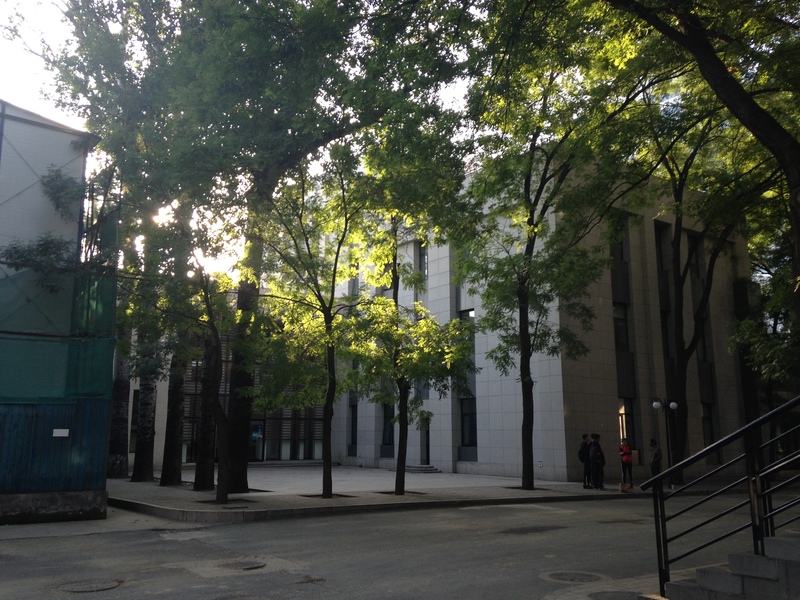 For those of you who don’t already know, I’ve accepted a position teaching Humanities in the Dalton Academy (道尔顿学院) at the Affiliated High School of Peking University for the 2015-16 school year. The Dalton Academy is a bilingual academy for students planning to opt out of the competitive Chinese college entrance exam (gaokao) and attend college abroad. I applied for and was offered the job in early June. Upon receipt of the work contract, I set out to arrange the work permit which would allow me to live and work legally in China for the next year. I knew the process of securing the work permit and travel visa would take some time and require the submission of a number of documents. Having a fair amount of experience now with government bureaucracy both in the US and China, I counted on the probability that the application process was going to be more protracted and unpredictable than I first thought. And I was not disappointed. I was told that in order to apply for a work visa to China I would need to submit a number of documents, including: an application form, passport photos, copies of my diplomas, a copy of the information page in my passport, as well as a criminal background check, medical exam form, and a copy of some kind of teaching certification. The first hurdle to jump over was securing a Criminal Background Check. Believe it or not I’ve never had to do this before (those of you who know about my long rap sheet will of course be surprised). After much scholarly web research, however, I determined that I should apply for it through the FBI, or more accurately, I should apply to a FBI channeling service that is recognized by the FBI. The service required official fingerprints. After getting the fingerprints done in Phoenix and sending in my application, I did get the background check, though it took about two weeks to compete the whole process. Meanwhile, I set out to get the physical exam. Since it was a basic physical, I first went to an urgent care facility since I wouldn’t have to make an appointment. Unfortunately, the physician on duty said they were not allowed to complete the form. The physical exam required additional tests they were not in a position to do. So, I tried to make an appointment with a physician in my insurance network, but having just switched insurance I found out that the physicians in my network were taking 6-8 weeks to see new patients. I couldn’t wait that long, so I paid out of pocket to see a physician who could get me in more quickly. A physical, blood work and chest x-rays later, I finally got my hands on the completed physical exam form. I was now ready to send all to China. Once all the documents reached China, the foreign affairs manager working at the High School pronounced my application for the work permit complete. A day or two later I received a surprise email back from her saying that new regulations were in place requiring all foreign teaching staff to produce evidence of official teaching certification, either in the form of a state-issued teaching credential or certification in TEFL or TESOL. I did not have either of these and was at a loss as to how to get one on short notice. TEFL certificates usually include several weeks of preparation including time teaching in front of a classroom. I was starting to think things were not going to go forward after all. As it turned out, my cousin Graham in Hong Kong put me in touch with a friend of his who had also needed a TESOL certificate and who pointed me in the direction of an affiliate for a TESOL school located in Shanghai. He was able to get me an “emergency” TESOL certificate in just a few days while I was still working on completing the course. I think the speed in getting the TESOL certificate was inversely correlated with the speed of the work permit application process itself. How could I get a TESOL certificate without having completed the course? I figured this was a case of “don’t ask, don’t tell.” The important thing was that the certificate was accepted. All I had to do then was wait—it was going to take 4 weeks to get both the work permit and the invitation letter, both of which I need to apply for a work visa. Two plus weeks into the wait I get another message from the foreign affairs manager saying that my work permit was ready, but that my middle name had been left off of the document. Since my middle name is given in my passport, she wanted me to check with the Chinese consulate to see if they would still accept the document. This led to another moment of slight panic. I was again afraid that this was going to delay my visa application process further. If they didn’t accept the work permit as is I would have to start the whole process over again—another two weeks. Fortunately the panic was short-lived. The consulate wrote right back. As long as the passport number matched across documents they said everything should be fine. I finally received the work permit and invitation letter in the mail on August 24th and turned right around and sent them off to the Visa service. In the end everything has worked out as it should, though I’m getting to Beijing later than planned. I should receive my passport with valid visa by next Monday which is good as I am now set to take off for Beijing on Sept. 2. I haven’t posted an entry for this blog since last summer. 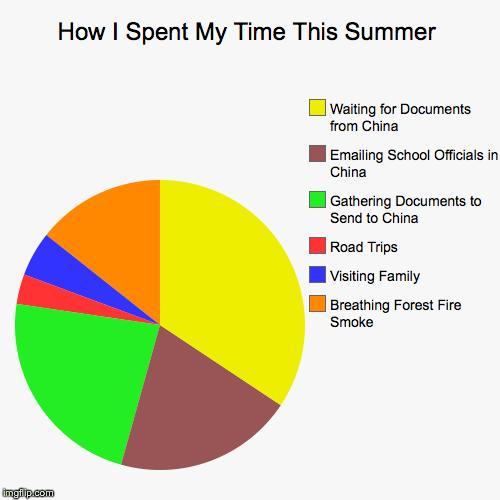 Now that I’m headed back to Beijing for the next academic year, I’ve decided to resurrect it. My reasons for coming back to the blog are the same and different from last time. I still have the idea to learn more about “blogging”: what it’s good for, how to do it well and to be creative with it. I’m participating in the Blogging 101 course put on by the people at WordPress as a way to push me to try new things and to get feedback on what I do. This time around I’m interested in learning to make the blog experience more interactive and social than before. Last year was more about reporting on my time abroad and I didn’t really develop the blog as a social tool. This year I’d like to promote the blog, find readers and share the experience more fully. 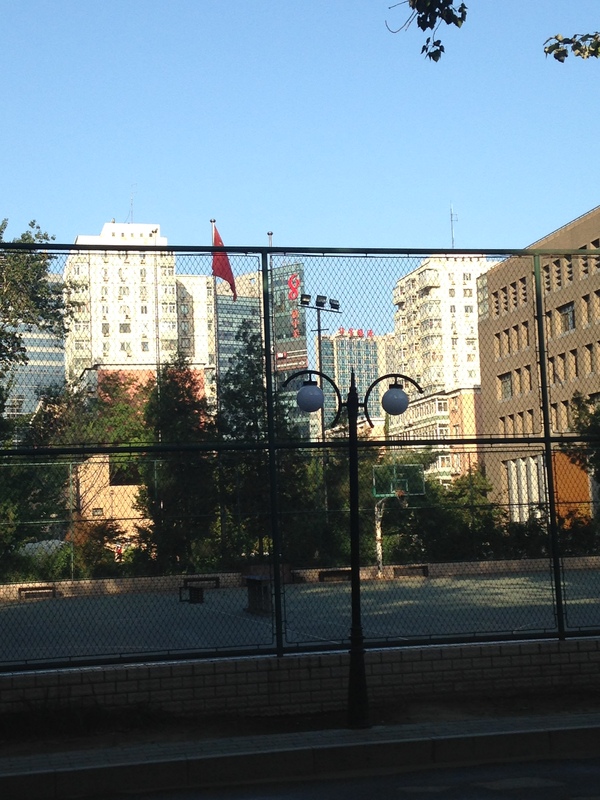 At this point, I plan to write about my personal experiences as an American living and working in Beijing, but I also hope to write commentary on contemporary life as lived by Beijingers, both those born and raised in Beijing and Chinese citizens and expats who have only more recently made Beijing home. 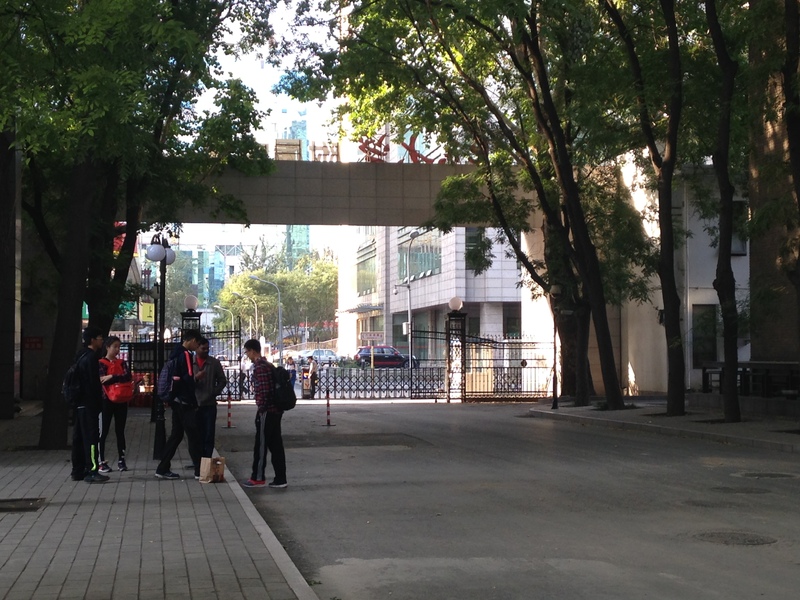 Since I’ll be working in a high school and teaching students who intend to enroll in college abroad, I anticipate writing quite a bit about these students’ school experiences and about educational culture in China’s capitol city. If all goes well, by the end of the year I will have developed a blogging habit, attracted a loyal readership interested in China and life abroad, and be more proficient in the creative use of a blogging platform. If my writing skills improve too, that’s a bonus. 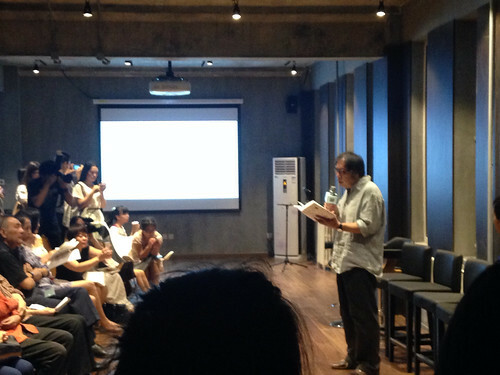 This past week I had the opportunity to attend a poetry reading and book promotion event featuring the recent publication of Poetry for Children (给孩子的诗) compiled by the poet Bei Dao 北岛. The book is actually not a collection of Bei Dao’s own poems (though I think one or two are included), but a compilation of other poems, mostly modern Chinese poems and Western verse in translation. In the preface, Bei Dao indicates that he intends for the book to expose children to other kinds of verse beyond the (mostly) traditional Chinese poetry students are required to read for class. A classmate of mine this summer is a graduate student of modern Chinese poetry at Columbia and was helping with the event so she asked a few of us to read a handful of the book’s English poems in English (others handled the Chinese, a few Spanish and French poems). 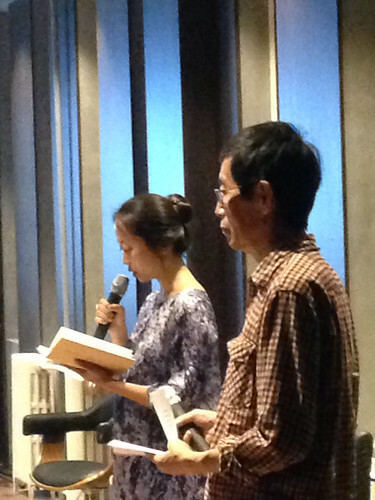 Bei Dao was in attendance and both he and his daughter each read a poem, but then left right away and did not stay for the Q&A session which followed. This disappointed a few of the audience members who had come specifically because Bei Dao was on the program. One woman stated that she thought that Bei Dao had already passed away–she didn’t realize he was still alive. She then proceeded to express her dismay that modern poets seemed to be so far removed from the lives of most people. Another woman lamented the state of poetry education in China and encouraged the panel of poets to visit schools to help expose children to more modern forms of poetry. The panel of poets, while certainly sympathetic to the questioners’ viewpoints, were also visibly a bit frustrated. I’m sure they often bear the brunt of people’s dissatisfaction with Chinese education when it comes to fostering creative or critical thought. But it’s a bit like blaming teachers for educational decisions that are out of their control. Can you make poets feel any more ineffectual? Not only do few people know about or read their poetry, but then they are also asked to take responsibility for the lack of interest in it. No wonder Bei Dao left early.